Cleric, MLA (1946-1949), MLA (1950-1953), MLA (1954-1957), MLA (1958-1959). Born on a farm near Treherne on 29 February 1904, after teaching at Leifur School (1922), he worked as a pipefitter at the Canadian National Railway shops in Winnipeg, spent two years as an office worker at the St. Boniface Stockyards, then attended United College (now the University of Winnipeg), for seven years, graduating with degrees in Arts and Theology. He spent the next nine years as a minister, serving at United Churches in Treherne, Meadow Lea, Whitemouth, Starbuck, Union Point, Stony Mountain, and Winnipeg. 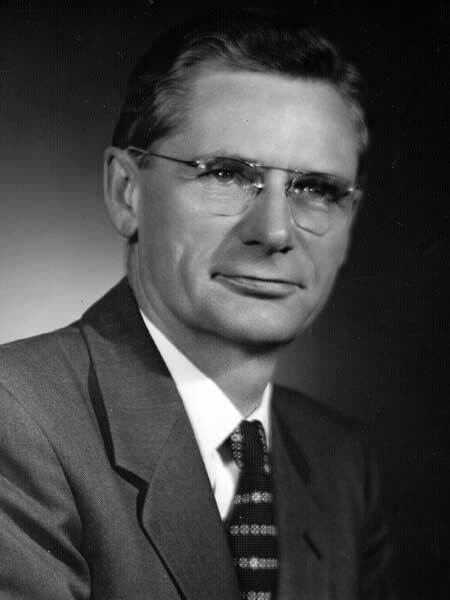 Stinson resigned his ministry in 1942, then served as Winnipeg City Alderman for Ward 1 for two years, 1943 to 1944. He was a candidate for Winnipeg South Centre in the 1945 federal election but was defeated by incumbent Ralph Maybank. He then represented a Winnipeg constituency in the Manitoba Legislature for fourteen years starting in 1945, and re-elected in 1949, 1953, and 1958. He was CCF leader for eight years (1953-1960), being replaced by Russell Paulley. Defeated in the 1959 and 1962 provincial general elections and 1963 federal general election, he returned to Winnipeg city council, serving on the representative for Ward 2 from 1963 to 1971. On 18 September 1930, he married Olive Elizabeth Spinks (1903-1990, daughter of W. H. Spinks) at Winnipeg and they subsequently had two children. He retired to Kelowna, British Columbia where he wrote the memoir Political Warriors: Recollections of a Social Democrat (Queenston House Publishing, Winnipeg, 1975). He died at Vancouver, British Columbia on 28 August 1976 and was buried in the Bethel Cemetery. His papers are at the Archives of Manitoba. Political Warriors: Recollections of a Social Democrat by L. C. Stinson (1975). Obituary, Winnipeg Free Press, 30 August 1976, page 24.